The PF6B speaker is the smallest model in the Facet range. Thanks to its compact size, it can easily be placed on any shelf or desk. 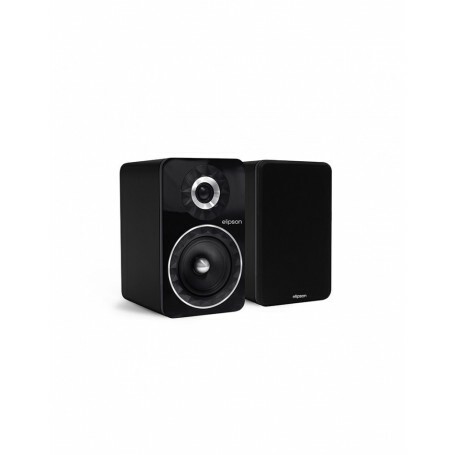 Ideal for small spaces, the PF6B can also be used in a surround sound home cinema arrangement. Dit product wordt niet los verkocht. U moet minstens 2 stuks toevoegen voor dit product. The Elipson Prestige Facet 6B speaker introduces a host of innovative technologies. The most visible is undeniably the ring of sculpted facets surrounding each driver, which gives the range its name. A rigorous design process ensures optimal acoustic performance, while an elegant finish allows the speaker to blend in harmoniously with your interior decor. The Prestige Facet 6B is availble in black, walnut and white. A black or white lacquer is applied to the double-layer front panel. The newest model in the range, it is equipped with a 14 cm low midrange driver featuring a bullet-shaped phase plug to limit vibrations and, consequently, reduce distortion. A 25 mm soft dome tweeter reproduces highs with finesse and precision. The multifaceted, sculpted silicone surround rings encircling each driver reduce the baffle effect and limit diffractions. The result is a more linear response curve and a smoother listening experience. Extra attention has been paid to the speaker's cabinet. The lacquered front panel is composed of two dense, thick materials and strengthened by several internal brackets. The speaker's steep-slope filter relies on highly efficient, audiophile-grade components. As for the finish quality, it is not overlooked and offers benefits such as premium-quality vinyl and a lacquered front panel. At Elipson, the back counts as much as the front. Our designers have created rounded, high-end dual speaker terminals which offer the possibility of biwiring and biamplifying while benefiting from silver-plated contacts to maximize signal transmission. Banana plugs may also be connected to the terminals. Neutral and accurate, this small speaker delivers sound which is free from colouration and faithful to the original recording. Impressions of smoothness and serenity emanate from each track as it is masterfully reproduced, without any hint of harshness. The Prestige Facet 6B's high sensitivity allows it to be paired with any amplifier with a power rating of 70 W or less per channel. 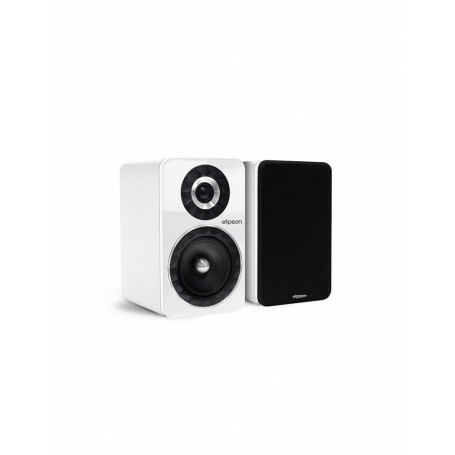 Its lively performance make it an excellent surround sound speaker for a home cinema installation.